Past President: Dianicia Kirton, Tuskegee dianiciakirton@gmail.com Dr. Dianicia Kirton is a graduate of Tuskegee University College of Veterinary Medicine (TUCVM). 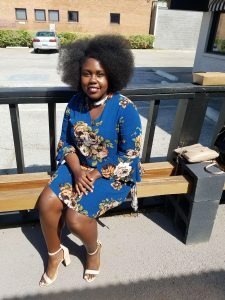 She is a native New Yorker who completed her Bachelor’s of Science in Laboratory Animal Science at North Carolina Agricultural and Technical State University. After delving into holistic modalities to treat her own ailments, she became very interested in the veterinary side of holistic medicine. 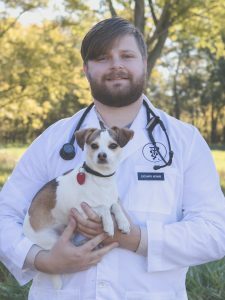 Dr. Kirton founded the Holistic Veterinary Medicine Club at TUCVM and also served as the National President of the Student American Holistic Veterinary Medical Association. Dr. Kirton is currently enrolled in the Small Animal Acupuncture course at the Chi Institute of Traditional Chinese Veterinary Medicine, and plans to continue on to become a Certified Traditional Chinese Veterinary Medicine Practitioner. Her professional interests also include surgery, pain management, palliative care, nutrition, and medicinal marijuana research. She enjoys traveling, exploring, being in nature, and spending time with her fur babies, Balu and Precious. Dr. Kirton is a Fear Free Certified Professional dedicated to reducing fear, anxiety, and stress in her patients and creating happy veterinary visits. 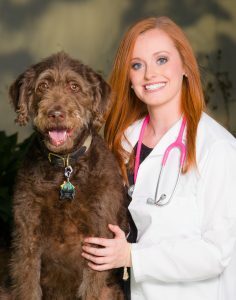 Katie is a third year veterinary student at Auburn University. She is from Bowling Green, KY and received her Bachelor’s degree in Animal Science with a minor in Biology from the University of Kentucky. She became interested in integrative and holistic medicine after seeing results with her own wellbeing. Since then she has taken steps to make it a part of her career. Katie plans to open a holistic veterinary clinic of her own where she will practice traditional Chinese veterinary medicine (TCVM). 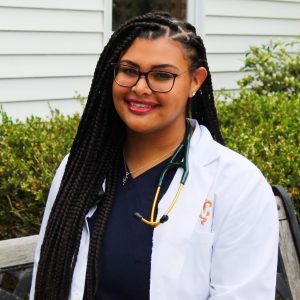 She currently serves as the president for both the Integrative Medicine Club and the Veterinary Business Management Association (VBMA) at Auburn University College of Veterinary Medicine and is enrolled in the Small Animal Acupuncture course at the Chi Institute. Her professional interests include acupuncture, physical rehabilitation, chiropractic care, nutrition, and Chinese herbal therapy. 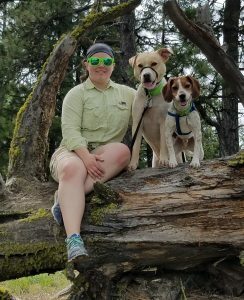 Outside of the veterinary world, Katie enjoys hiking, traveling, dog training, needlepointing, and spending time with her dog, Miles, and cat, Timmy. Lillian believes integrative veterinary medicine is the future and she strives to be apart of the change that brings together Western and Eastern modalities to be used collaboratively to provide the best medicine possible. After graduating with her DVM, she plans to go into private practice in Southwestern Idaho. She hopes to fast track into practice ownership and soon own a fully integrative practice. Outside of veterinary medicine she enjoys falconry, yoga, playing the tuba in community bands, hiking, and anything outdoors with her husband and two dogs (Timber the beagle and Athena the lab/husky mix). 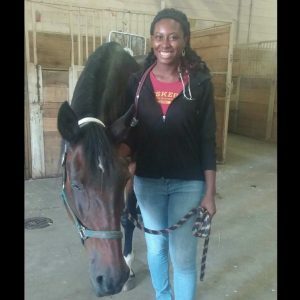 Karyn is a 3rd year student at Tuskegee University College of Veterinary Medicine. She is from Tempe, Arizona and attended Tuskegee University for undergrad majoring in animal science with a minor in nutritional science. She is excited to learn more about the other forms of holistic medicine. Her interests are in nutritional therapy, NRT testing, dietary supplements, diet formulation and more. Shekinah is a 4th term Veterinary student currently attending St. George’s University. She attended Prairie View AM University and completed her Bachelor’ in Arts and Science majoring in Biology with a minor in Chemistry. During her time in Prairie view, TX, she gained interest in holistic practices and where she first saw the benefits of acupuncture in equine patients and laser therapy in small animal patients. Currently she is the head of the SGU Community garden on campus where they host over 40 different plants as well as a water filtration system and composting bin. 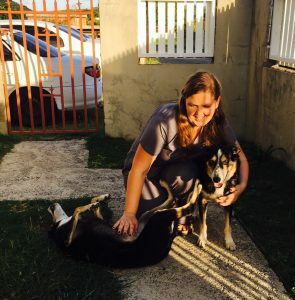 She also served as a board member of the SGU Integrative Veterinary Medicine Club where she was afforded the opportunity to gain more information about the possibilities of integrative medicine. To further her knowledge in plant-based medicine, she is also pursuing her Master of Science with a concentration in Pharmacology. In addition, she is also enrolled into the Acupuncture course offered through the Chi institute. Her other interests include: Chinese herbal therapy, chiropractic medicine, nutrition formulation, and other alternative medicine methods.